With just two weeks left in the WPIAL football regular season, there are a limited number opportunities for teams to get into the playoffs. Entering Week 8, 34 of the 62 playoff spots have been clinched. No one has clinched a conference title yet, but a few teams have that opportunity this week. Last week’s biggest result was Canon-Mac topping Norwin in 6A. A Norwin victory would have set the 6A playoff field, but instead no spots were clinched last week. This week’s results could enable up to 22 more teams to clinch playoff spots. Nevertheless, the full field will not be settled this week and the potential exists for a number of Casket Matches next week. Don’t forget to check out our WPIAL Standings Page and 5A & 1A Wild Card Standings Page for a look at where every team sits in the playoff race. 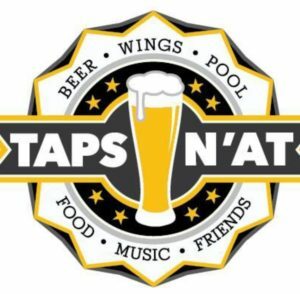 Thanks to Taps n’at in Derry, sponsors of all of our WPIAL content here on Steel City Blitz this season. North Allegheny and Pine-Richland have clinched playoff spots. North Allegheny clinched a first round bye. Pine-Richland clinches a first round bye with a win over Seneca Valley. Central Catholic clinches a playoff spot with a win over Canon-McMillan OR a Norwin loss. Seneca Valley clinches a playoff spot with a win over Pine-Richland OR a loss by either Norwin or Canon-McMillan. Mt. Lebanon clinches a playoff spot with a win over Norwin. Canon-McMillan clinches a playoff spot with a win over Central Catholic AND a Norwin loss. Playoff Structure: The top 5 teams in each of the three conferences make the playoffs. One of the three 6th place teams earns a “wild card.” The top two teams in each conference plus 2 of the 3 third place teams get home playoff games in the first round. The 5A Wild Card Standings can be found here. 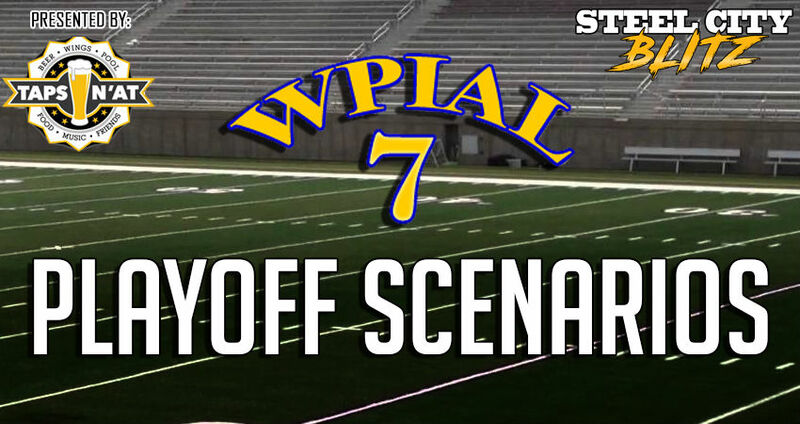 West Allegheny, Upper Sr Clair, Peters Twp, and Bethel Park have clinched playoff spots. No other clinching scenarios this week. Gateway, Penn-Trafford, McKeesport, and Franklin Regional have clinched playoff spots. Latrobe clinches a playoff spot with a win over Albert Gallatin. Penn Hills, Mars, and North Hills have clinched playoff spots. Penn Hills plays a non-conference game but can clinch the Conference Title with a North Hills loss. Kiski clinches a playoff spot with a win over Mars. Shaler clinches a playoff spot with a win over North Hills AND a Fox Chapel loss. South Fayette and Blackhawk have clinched playoff spots. South Fayette clinches the Conference Title with a win over Ambridge. Blackhawk plays a non-conference game but can clinch a home playoff game with a Beaver loss. The winner of Beaver-Montour clinches a playoff spot. If Montour loses, they can still clinch a playoff spot with a New Castle loss. If Beaver loses, they can still clinch a playoff spot with a Highlands loss. Thomas Jefferson, Belle Vernon, and West Mifflin have clinched playoff spots. Greensburg Salem clinches a playoff spot with a win over Thomas Jefferson AND an Indiana loss. Elizabeth Forward and Derry have clinched playoff spots. North Catholic clinches a playoff spot with a win over Yough. Freeport clinches a playoff spot with a win over Mt. Pleasant OR losses by BOTH Yough and Deer Lakes. Aliquippa and Beaver Falls have clinched playoff spots. Aliquippa clinches the Conference Title with a win over Keystone Oaks. Beaver Falls plays a non-conference game but can clinch a home playoff game with a win by Aliquippa or a loss by Central Valley. Quaker Valley clinches a playoff spot with a win over Hopewell AND a South Park loss. Central Valley clinches a playoff spot with a win over South Park. Shady Side Academy, Steel Valley, and Avonworth have clinched playoff spots. 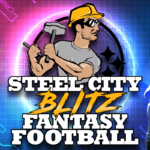 Charleroi, McGuffey, and Washington have clinched playoff spots. Beth-Center plays a non-conference game but can clinch a playoff spot if Frazier loses. Mohawk, Freedom, and Riverside have clinched playoff spots. Mohawk clinches the Conference Title with a win over Ellwood City. Freedom plays a non-conference game but can clinch a home playoff game if Mohawk wins. New Brighton clinches a playoff spot with a win over Shenango. Burgettstown has clinched a playoff spot. Burgettstown clinches the Conference Title with a win over Brentwood. South Side Beaver clinches a playoff spot with a win over Fort Cherry OR a Brentwood loss. Serra Catholic clinches a playoff spot with a win over Seton LaSalle AND a South Side Beaver win. South Allegheny clinches a playoff spot with a win over Carlynton AND wins by both South Side Beaver and Serra Catholic. Playoff Structure: The top 2 teams in each of the three conferences make the playoffs. Two of the three 3rd place teams earns a “wild card.” The three conference champions plus 1 of the 3 second place teams get home playoff games in the first round. The 1A Wild Card Standings can be found here. OLSH and Rochester have clinched playoff spots. OLSH clinches the Conference Title with a win over Union. The winner of Sto-Rox vs Laurel clinches third place. Clairton and Jeannette have clinched playoff spots. Imani Christian has clinched third place. West Greene clinches a playoff spot with a win over Jefferson-Morgan.